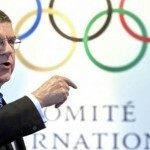 Thomas Bach has criticized those who went against “spirit of the Olympic movement”. The International Olympic Committee (IOC) President also insisted that no organization can be immune from wrongdoing irrespective of the level of governance. Bach, speaking in a keynote address that lasted almost an hour at the Association of National Olympic Committees (ANOC) General Assembly, spoke on a number of issues, including ongoing corruption and anti-doping investigations. Bach admitted that the International Olympic Committee does face challenges but accused the IOC critics of ignorance. The IOC President told the 1,300 delegates that we live in a world of mistrust against the establishment and we are considered to be part of this establishment. Bach also remarked that we live in a world where people are more and more thinking in silos of their own opinion and also said that people are not ready for a dialogue anymore. The IOC chief said they in a world of silos become aggressive of people who do not share their opinions and went on to say that people start to think that because they are living in silos, that they are in possession of the sole and only truth. Bach commented that we at present are living in a world where selfish interests appear to prevail and create more discrepancies in our world. The International Olympic Committee (IOC) President also said we are now living in a world where they Olympic values of tolerance, respect, understanding and peace are more important than ever before. Bach said the IOC has the determination and the courage and the will to promote and defend these values. 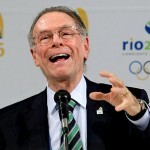 The speech of Bach followed the arrest of Carlos Nuzman, a former IOC member and Rio 2016 President, for alleged involvement in a vote-buying scandal. Frankie Fredericks, the IOC member from Namibia, was absent from the IOC Session in Lima as he seeks to clear this name after being linked with the scandal. Fredericks appeared in Paris before a court to provide answers to questions about alleged payments linked to Rio 2016 that were received by his company. In a corruption case, ANOC President and IOC member Sheikh Ahmad Al-Fahad Al-Sabah was identified by a United States Department of Justice document. The case is associated with Guam’s Richard Lai but the name of Al-Sabah was cleared of any wrongdoing by the ANOC General Assembly. The IOC President said all of these cases are exceptions rather than the rule. Bach added the cases do not reflect badly on governance processes of the International Olympic Committee. Bach appeared most passionate when he criticized those who have “prematurely” called for a blanket ban on Russia from the Pyeongchang 2018 Olympics. The President of IOC said the Olympic Movement considers it unacceptable that some sanctions are being demanded in the public domain. The Schmid and Oswald Commissions of IOC are likely to complete their findings before decisions are made at an Executive Board meeting scheduled for December 5 to 7. Bach said we cannot expect others to defend us and accept us if we ourselves do not respect our Commissions and the way we are working. International Cycling Union (UCI) President David Lappartient has pledged to restore credibility of cycling in relation to the issue of mechanical doping. Tests to prevent mechanical doping were introduced in 2016 but only one rider has been caught. Critics of UCI have raised questions on the robustness of the current testing protocol and determination of the world governing body of cycling to handle the matter. Lappartient, who was elected president last September, had mentioned in his manifesto that he wants to totally eliminate mechanical doping from the sport. 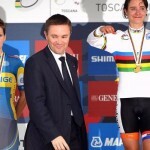 The UCI President has promised to outline his plans for the future by the end of the year before he would roll out a new program for detecting motors from the start of 2018. The International Cycling Union chief also commented that we need to avoid any suspicion that we have it in our sport. Lappartient remarked it is really bad for our image and said he wants everyone to trust the credibility of the UCI. The Frenchman also remarked that he wants people to know that we are doing our best and checking in the most professional way. It was also commented by Lappartient that people should trust in the results of racing and this is what we have to deliver. Lappartient said testing at races and events will become more robust in the coming year. The UCI President added heat guns would work alongside the criticized UCI tablets. Lappartient remarked the UCI concentrates on the top level, but we have to understand that we can have the same problem at all levels, even at mass participation events. The chief of International Cycling Union added it would be a disaster to see a guy at this low level using this kind of technology just to get his name in the newspaper. Lappartient said Tour de France director Christian Prudhomme has asked the cycling’s world governing body to work on tackling the menace of mechanical doping. The UCI chief said we will be ready for the next season and during the winter we will make some announcement on this, probably at the beginning of December. Less than a month after the election of Lappartient, a French amateur rider was caught with a motor in his bike at a local race. The incident highlighted the fear of many that mechanical doping had already spread to all levels of racing. Lappartient also advocated for a reduction in team sizes to six riders per team. The newly elected UCI president also made a vow to stop the use of race radios in the sport over concerns that it may result in race fixing. 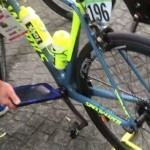 Lappartient said the connection officially goes from a team car to the rider and added there is however nothing technologically that prevents him or anyone from calling the wearer of the yellow jersey during a stage of the Tour. 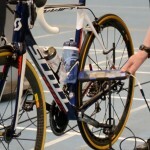 The Frenchman said there have been no claims regarding the adverse use of race radios, but he wants to address the issue before it arise like that of mechanical and biological doping. Renowned Olympian Mo Farah has finally decided to part ways with disgraced coach Alberto Salazar. The athlete however denied the role of doping allegations for this decision. Salazar has been coaching the four-time Olympic champion at the Nike Oregon Project for the last six years. Farah has also been crowned world champion six times during this period. Farah, who will now be with Paula Radcliffe’s husband and former coach Gary Lough, said he missed his family and that is the only reason for the decision. The family of Farah is moving back to London. The long-distance runner said we want the kids to grow up in the United Kingdom. Farah also said it would therefore not be possible for him to continue his association with both Nike Oregon Project and Alberto that are based in the USA. Farah specifically mentioned that he is not leaving the Nike Oregon Project and Alberto Salazar because of the doping allegations. 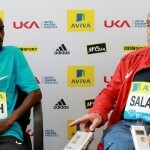 Farah went on to add that he would have made a quicker decision if the doping allegations had to play any role. The Olympian added he has always been a firm believer in clean sport. Farah said he strongly believes that anyone who breaks the rules should be punished. Salazar has been accused of being involved in using illegal doping methods. The coach was once accused of administering Testosterone gels and other banned substances to athletes. However, Farah has never been accused of any doping offences. Alberto Salazar, chief coach at the Nike Oregon Project (NOP), recently denied reading all of the leaked US Anti-Doping Agency (USADA) report. The report alleged that Dr. Jeffrey Brown, who has worked with numerous NOP athletes, provided infusions of L-carnitine (a legal substance) over the legal limit of 50 ml in a period of six hours to Galen Rupp. The report also made claims about the use and misuse of prescription drugs by Salazar. Galen Rupp, one of the most trustworthy athletes under Salazar, recently created history by winning the 2017 Chicago Marathon. 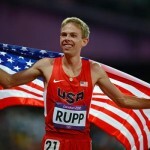 Rupp became the first American to win the event in 15 years in 2:09:20. The Track & Field News magazine had recognized Rupp in 2014 as world’s top athlete in the 10,000 meters for 2014. The best American distance runner of his generation however has been stalked by suspicion of doping. The two-time Olympic medalist has consistently been one of the most tested athletes by United States Anti-Doping Agency. 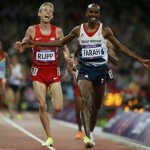 Rupp added the win-at-all-costs reputation of Salazar is incorrect. The athlete said the Oregon Project has always embraced science, but it is always within the WADA Code. Rupp and Salazar have been just as much athlete-coach, prodigy-mentor, and son-to-father. Both Rupp and Salazar have ever been charged with an anti-doping violation. The disgraced coach has vehemently denied all allegations and went on to remark that the Oregon Project will never permit doping. Salazar also remarked all Oregon Project athletes are required to comply with the World Anti-Doping Agency Code and rules of the International Association of Athletics Federations. 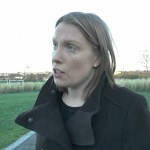 British sports minister Tracey Crouch has said drug cheats in British sport will not be jailed. The UK government was prompted to review anti-doping rules after recent scandals. Italy, France, and Australia are among some of the countries that have already criminalized doping. A big majority of anti-doping agencies worldwide do not want doping to be criminalized as they are of the view that getting convictions will be difficult and sporting sanctions are more relevant. Crouch said an extensive review found that criminalizing doping could make it tougher to investigate. The British sports minister added we looked into this very carefully, and conducted an extensive review into the issue around criminalization and we actually genuinely believe that the system we have here in the United Kingdom is one of the most robust systems in the world. Crouch also commented that we feel that the idea of criminalization would change the burden of proof, would make it actually harder to investigate these incidents and that actually you could end up with a lesser punishment if you went through the criminal procedures. The sports minister also remarked that we genuinely think that the system we have in place is the right one. The World Anti-Doping Agency (WADA), UK Anti-Doping (UKAD), and others have warned against criminalization. It has been argued that countries that have made it an offence have struggled to prosecute under the ‘beyond reasonable doubt’ standard of proof as sport uses the ‘balance of probabilities’ standard in anti-doping cases. However, Crouch argued that UK Anti-Doping should get more powers to tackle cheats and their enablers. The sports minister was also persuaded by UK Anti-Doping of the need for a review of therapeutic use exemptions (TUEs). Therapeutic use exemptions have been in the headlines for all the wrong reasons ever since Fancy Bears, the Russian hacking group, stole medical data from WADA and revealed the use of banned substances for “medicinal purposes”, unlike others who are not permitted to use these drugs. The sports minister condemned Greg Clarke, the Football Association Chairman, who recently made comments about gay athletes. 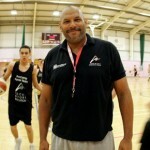 Former basketball star John Amaechi, one of Britain’s most high-profile gay athletes, recently disclosed that Clarke paid a visit to his office in March to discuss how the FA could persuade gay male players to come out while still in the game. Amaechi, now a leading psychologist, communicated to Clarke that this was the wrong strategy. 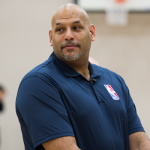 The former basketball star also said the Football Association is required to do much more to promote diversity and equality throughout the organization. In reply, Clarke remarked he would get Amaechi sacked and the British government would never intervene. Crouch agreed to the point of Amaechi about FA inaction on homophobia and remarked she has been asking the Football Association “to do more” for some time. The sports minister said anybody involved in football should feel confident enough to be able to come out. Crouch also commented that she thinks the entire Mark Sampson (who made racist remarks to players Eniola Aluko and Drew Spence) affair and other events have really tarnished what it is the FA was trying to achieve. Intelligence Unit of the World Anti-Doping Agency would investigate claims that more than 10,000 Chinese athletes used banned substances. 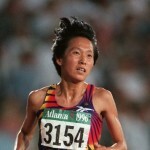 Former Olympic team doctor Xue Yinxian made the claims and alleged that her comments were associated with athletes in the 1980s and 1990s. Yinxian claimed her services were terminated after she refused to provide a banned substance to a gymnast. The whistleblower added athletes as young as 11 were given performance enhancing drugs. She went on to add that China’s medals in major tournaments during that period were won through the use of banned substances. Yinxian went on to add that doping in China existed in a wide range of sports including swimming, volleyball, basketball, table tennis, diving, football, athletics, gymnastics, and weightlifting. In a program on German channel ARD, Yinxian called for all medals awarded to athletes of the nation during that period to be withdrawn. The whistleblower, now seeking political asylum in Germany, said people in China only believed in doping. She also commented that anyone who took doping substances was seen to be defending the honor of the country and anyone against doping damaged the country and anyone who endangered the country now sits in prison. The former Olympic team doctor said anti-doping tests were conducted in China for the only purpose to ensure athletes of the country traveled to competitions without being caught. The 79-year-old also made similar allegations in 2012. In a statement, WADA said there would be lots of difficulties prosecuting cases that happened decades ago. In 2003, the WADA Code was introduced and the statute of limitations for prosecuting code violations is 10 years. However, it added that the World Anti-Doping Agency will ensure that, if action is warranted and feasible under the World Anti-Doping Code, the necessary and appropriate steps will be taken. The agency said it as a first step has asked its independent Intelligence and Investigations (I&I) team to initiate an investigative process in order to collect and analyze available information in coordination with external partners. Last year, it was reported by Chinese state media that all those runners trained under Ma Junren – better known as “Ma’s Army” – were forced to take large doses of illegal drugs over the years. 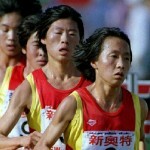 Wang Junxia, one of the most prominent of those runners, once detailed the regime of state-sponsored doping in a letter. In a letter reportedly signed by nine of Wang’s teammates, the Chinese former long-distance runner had written that Junren forced us to take a large dose of illegal drugs. In 1997, Wang retired from the sport having never failed a drugs test. 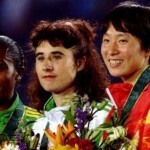 She was honored with a place in the IAAF Hall of Fame for her achievements in 1993. A probe into the claims was confirmed by the International Association of Athletics Federations. The IAAF confirmed any admission of guilt could see Wang’s world records scrapped if legitimacy of the letter is proven. Chen Zhanghao, the chief physician to the Chinese national teams, had admitted in 2012 that doping took place in China. The International Weightlifting Federation (IWF) has suspended Olympian Mohd Hafifi Mansor for an alleged doping offence. In a statement, the IWF said the sample of Mansor had an Adverse Analytical Finding for Oxymetholone. Hafifi could face a possible doping ban of four years as Oxymetholone is classified as a performance enhancing substance that promotes muscle growth. Also known as Anadrol, Oxymetholone is a synthetic, orally active anabolic-androgenic steroid (AAS) and 17a-methylated derivative of Dihydrotestosterone (DHT). The anabolic-androgenic steroid is known to increase the levels of the hormone (erythropoietin) that is involved in the production of red blood cells. Anadrol is classified under the S1 (anabolic agents) by the World Anti-Doping Agency. IWF posted on its official website it will not make any further comments on the case until it is closed. The suspension was confirmed by Malaysian Anti-Doping Agency (ADAMAS) deputy director S Nishel Kumar. Nishel remarked it is too early to comment on the matter and added we will communicate with the Malaysian Weightlifting Federation (MWF). The Malaysian Anti-Doping Agency deputy director also commented that we were asked to determine if the athlete concerned accepted the result or wish to challenge it. Kumar raised questions over the delayed results of the doping test. The ADAMAS deputy director said we don’t understand is why it has taken seven months for the result to be made known and added it usually only takes a month, so we too are wondering what has caused the delay. Mansor, the 2014 Glasgow Commonwealth Games gold medalist, was considered as a gold medal hope for Malaysia at the 2018 Gold Coast Commonwealth Games. Hafifi also won the Australian Open in Melbourne in March and the sample of the positive test is believed to have been taken during the latter event. MWF acting secretary Abu Hanapah Ismail said the cost involved in having the B sample of Hafifi tested can run up to tens of thousands of ringgit. Ismail added we are also working out how the B sample test will be paid for, either from the associations’ pocket or by other means. The MWF acting secretary said the samples were tested in Delhi previously and commented it could cost more than usual, as the test had initially been conducted in Australia. The acting secretary of the Malaysian Weightlifting Federation also remarked it is a bit disappointing as Hafifi had gone on to win the gold medal at the Commonwealth Championships recently that also serves as a qualifier for the Commonwealth Games. The 26-year-old weightlifter may decide to be present at the opening of the B sample bottle at the laboratory in Sydney, Australia at his expense, according to ADAMAS director Datuk Dr Ramlan Abdul Aziz. The ADAMAS director also remarked he cannot comment much on the ongoing case as the matter is with IWF and MWF. In May 2014, track cyclist Muhammad Shah Firdaus Sahrom had tested positive for Dexamethasone at the Perlis Malaysia Games. However, the result of the failed test was only made known in February 2015 because of a miscommunication between the test lab and ADAMAS. Joanna Blair, who represented Britain in the European Athletics Team Championships this summer in Lille, has been suspended after she failed to clear an anti-doping test. The 31-year-old javelin thrower from Lutton was believed to be in the contention for the England team for the Commonwealth Games in Australia next year. In a statement, UK Athletics said Joanna Blair had been provisionally suspended from participating in athletics. This was after Blair was charged with having committed an anti-doping rule violation contrary to IAAF Anti-Doping Rule Article 2.1 (presence of a prohibited substance or its metabolites or markers in an athlete’s sample). The statement further reads that the javelin thrower has the opportunity to respond to the charge against her including the right to a full hearing of the case. The 31-year-old confirmed the positive test and remarked the failed test was a result of a creatine product she had been using “for a number of years”. Blair blamed contamination of the supplement and added she checked the ingredients of the supplement before using it. Blair added she is cooperating fully with both UK Athletics and UK Anti-Doping to resolve things at the earliest. Blair had finished second in the UK trials in July and her selection would have marked the pinnacle of her career. 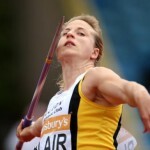 Blair had managed to improve her fitness under her coach Dave Burrell at Luton Athletics Club. She went on to set a near three-meter personal best of 57.44m at the British Athletics Championships that gave her a first national title ahead of the 2008 Olympic bronze medalist Goldie Sayers and placed her seventh on the British all-time list. The impressive form of Blair earned her selection for the Nitro Athletics tournament in Australia this year. 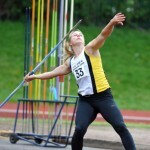 The javelin thrower was however unlucky to miss out on selection for the 2017 world championships in London after she failed to reach the qualifying mark. 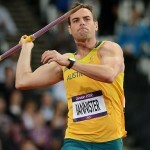 Few years back, Commonwealth Games javelin champion Jarrod Bannister was banned for 20 months after he missed three doping tests. Bannister, who won the gold medal at New Delhi in 2010 and occupied the sixth position in the 2008 Beijing Olympics, missed three tests within a period of 18 months. The javelin thrower had then blamed poor communication with Athletics Australia as a factor behind the circumstances that saw him, unintentionally, breach the ‘Athlete Whereabouts’ program. Athletics Australia chief executive Dallas O’Brien had then remarked that we are disappointed that Jarrod did not meet his obligations as one of our top performing athletes and this case demonstrates the need for all athletes to be diligent and responsible. 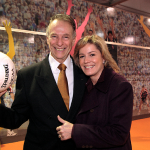 Bannister was given a slightly reduced ban by the Court of Arbitration for Sport. This was after he was charged under article 6.4 of the Australian Sports Anti-Doping Agency’s policy concerning his availability for out-of-competition testing. The Australian track and field athlete who competes in the javelin throw remarked he had relied on verbal rather than written correspondence with Athletics Australia. The finding handed down by arbitrator Alan Sullivan called on the Athletics Australia, Australian Sports Anti-Doping Authority, and the World Anti-Doping Agency to review their operations and procedures. The head of a key State Duma has claimed that countries calling for Russia to be banned from Winter Olympic Games in Pyeongchang next year have exceeded their authority. 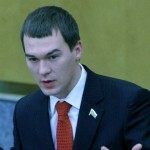 Mikhail Degtyarev, chairman of the State Duma Committee on Physical Culture, Sport, Tourism and Youth Affairs, has claimed unfair pressure was being put on the International Olympic Committee to ban Russia. 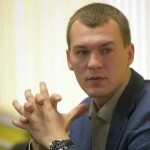 Degtyarev added these are attempts to exert pressure on Russia and the International Olympic Committee and added this is unfair competition. Degtyarev also commented that he is sure that athletes whose anti-doping agencies try to exert pressure on Russia by non-sporting methods would not support this and also commented that everyone acknowledges that without Russian athletes sport cannot be full-fledged in principle. A total of 17 countries, who are members of the Institute of National Anti-Doping Organizations (iNADO), demanded that Russia be barred from Pyeongchang 2018 after allegations in the McLaren Report of “institutionalized doping” involving the Russian government. In a statement, the NADOs had said the Russian Olympic Committee was at best negligently oblivious to the corruption of its anti-doping program that was delivered by the Russian Anti-Doping Agency. The statement further reads that the Russian Anti-Doping Agency was complicit, or even an active player, in the corruption and added that many clean athletes were hurt by this, including Russians. The statement said there must be consequences for this gross misconduct. The iNADO statement was condemned by the World Anti-Doping Agency (WADA) President Sir Craig Reedie and the International Olympic Committee (IOC). Reedie accused the NADOs of looking “backwards rather than forwards”. Russia is likely to escape a blanket ban from next year’s Winter Olympic Games after the calls from a group of National Anti-Doping Organizations (NADOs) to exclude them from Pyeongchang 2018 were dismissed by the IOC. In the past, the IOC had suggested that Russia is likely to avoid a blanket ban when they amended the Olympic Charter to include a statute that allows them to fine teams and athletes for doping and competition manipulation. The developments came as interim reports from two IOC Commissions – led by Samuel Schmid and Denis Oswald – into Russian doping were presented to the membership. Oswald, who was entrusted with the task of looking into allegations of sample manipulation, claimed they had enough to sanction some of the athletes implicated in the Richard McLaren report. 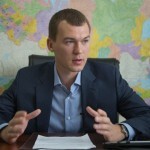 The interim report of Schmid shed little light on the present state of his investigation that was focused on the alleged institutional conspiracy involving the Russian Government. Oswald added we are working as quickly as we can but at the same time we have to respect the process that is in place. He commented it is a difficult task because we had to go through a lot of documents to find the evidence and it is not an easy case. IOC members lined up to criticize the NADOs for their statement following the presentations of the reports from Schmid, Oswald, and the World Anti-Doping Agency. 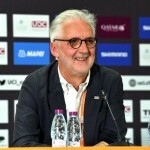 International Cycling Union (UCI) President Brian Cookson has claimed he has the support of 30 of the 45 votes required to be re-elected as chief of the world governing body of cycling at the world governing body’s Congress. Cookson claimed he has received a good response from the voting delegates. The 66-year-old Briton suggested he has enough support to secure a second term and added those who vote against him may have some small political concerns. Brian added he has a track record that anyone can examine. The UCI President added Ireland’s Pat McQuaid whom he defeated in a bitter election campaign four years ago has been actively campaigning for his rival David Lappartient. Cookson claimed the Frenchman had offered him the position of UCI Honorary President. The world governing body of cycling’s chief added he had of course seen the declarations Pat McQuaid has made recently in support of David in the media and he had also been shown proof that Pat is actively lobbying on David’s behalf and went on to say that the appointment of McQuaid in a senior role at the UCI would be a grave concern for anyone who can recall the disastrous situation that the UCI was in just four-years ago under his leadership. Cookson said he is focused on running his own campaign with the support of people who have contributed to restoring trust in our sport, to take cycling forward and build on the great achievements we have had over the past four years. 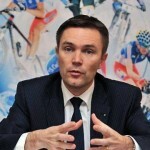 The International Cycling Union President said it is however disappointing that David Lappartient has not come out renouncing the support of Pat McQuaid, but having hosted Pat and other former executives at the first Elite European Road Championships in France last year and added he is not surprised as that speaks volumes for the devastating direction David would take the UCI in if he wins next week’s election. The 66-year-old Cookson has prioritized ensuring equal opportunities for men and women to participate and compete, championing cycling for transport and leisure, and accelerating international development. The UCI President also expressed his desire to build on restored credibility and ensure the world governing body of cycling continues to drive excellence in operations. 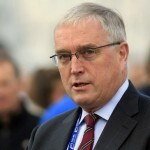 Cookson blasted everyone who placed doubts on his leadership skills by saying he was the one who put his head above the parapet when the sport was engulfed with doping and corruption allegations coming from everywhere, if you talk about leadership, no-one else wanted to take that on and challenge the status quo and the people who had run cycling into the ground in the previous period. Lappartient claimed the emails from McQuaid were a personal act on his part. Lappartient claimed it has been reported that McQuaid has sent an email to a couple of delegates, whom he knows, by telling them his personal opinion about Brian Cookson and therefore calling on them to support his candidature. Lappartient added this was a personal act of McQuaid and not on his demand. Europe has the largest bloc with 15 delegates and the voters include nine delegates each from Africa, the Americas and Asia, with three more from Oceania. Jon Jones, the three-time Light Heavyweight Champion of the Ultimate Fighting Championship, has been stripped of his light heavyweight title. Daniel Cormier has been reinstated as the 205-pound champion after the latest failed doping test of Jones. The 205-pound champion was originally flagged by the United States Anti-Doping Agency on August 22 this year after it was revealed he failed an in-competition at the weigh-ins for his UFC 214 title win over Cormier (19-1-1 MMA, 8-1-1 UFC). It has now been confirmed by USADA that the B sample of Jones also came back positive for metabolites of the steroid Turinabol. The California State Athletic Commission has now overturned the result of Jones and Cormier fight to a no-contest. The California State Athletic Commission will now conduct a hearing to determine the final punishment of Jones. The next CSAC meeting is scheduled for October 17 in Los Angeles. CSAC Executive Director Andy Foster remarked the commission will work with Jones if he needs more time to put together a case. In response, the UFC stripped Jones of the light heavyweight belt and reinstated Cormier as the champion. Jones faces up to a doping ban of four year that is likely to bring curtains down to his career. 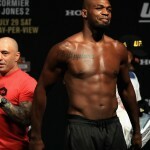 Cormier blasted the claims of Jones and his team that the steroid was in a supplement by saying Turinabol is a very expensive drug and something that could not be easily found in a supplement. Cormier (19-1) has never lost to any opponent except Jones (22-1). Cormier held the light heavyweight title for most of the previous two years while the troubled UFC star was largely sidelined by disciplinary issues. Jones has a lengthy history of controversies and misbehavior. Jones avoided serious punishment in previous incidents involving cocaine use and a drunk-driving conviction before he was stripped of his title in 2015 in a hit-and-run accident that left a pregnant woman with a broken arm. Months later, Jones made a return to the Octagon and reclaimed an interim title while Cormier was nursing an injury. In November 2016, the belt of Jones was stripped after he was pulled from a rematch with Cormier at UFC 200 for failing a pre-fight doping test. The American mixed martial artist is widely regarded as one of the greatest mixed martial artists of all time. Presently, Jones has the longest active winning streak in the UFC and was ranked number one in the world during his championship reign. 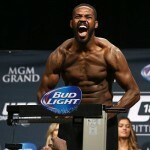 Jones holds many UFC records in the light heavyweight division, including the longest win streak, the most successful and consecutive title defenses, the most submission victories, and the most wins. Jones made his professional MMA debut in April 2008 and took a unanimous decision victory against Andre Gusmao at UFC 87 on August 9, 2008. In his second fight, he stunned veteran Stephan Bonnar at UFC 94 on January 31, 2009 and won by another unanimous decision victory. The third UFC fight of Jones was against Jake O’Brien at UFC 100 where he secured a modified guillotine choke that rendered his opponent briefly unconscious just after he tapped.